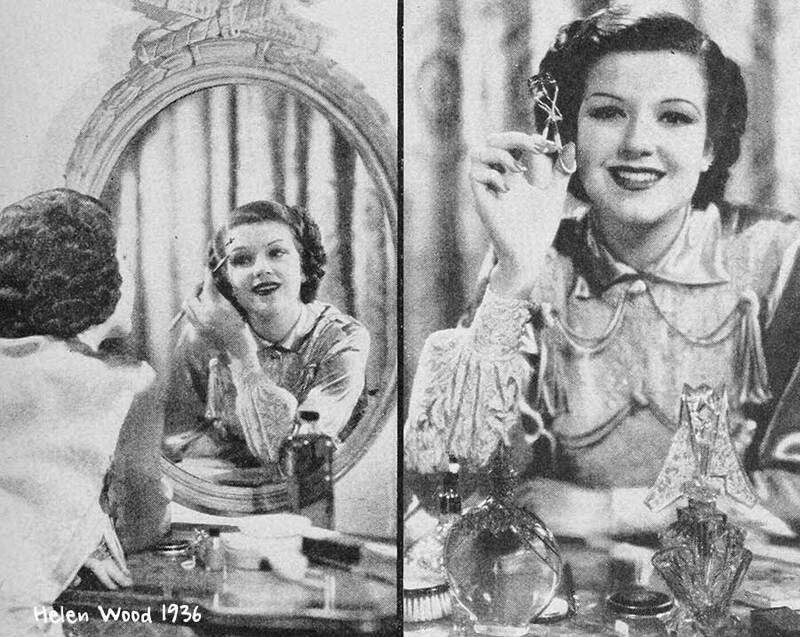 1.Eleanor Powell uses two shades of powder which gives her skin a translucent glow. 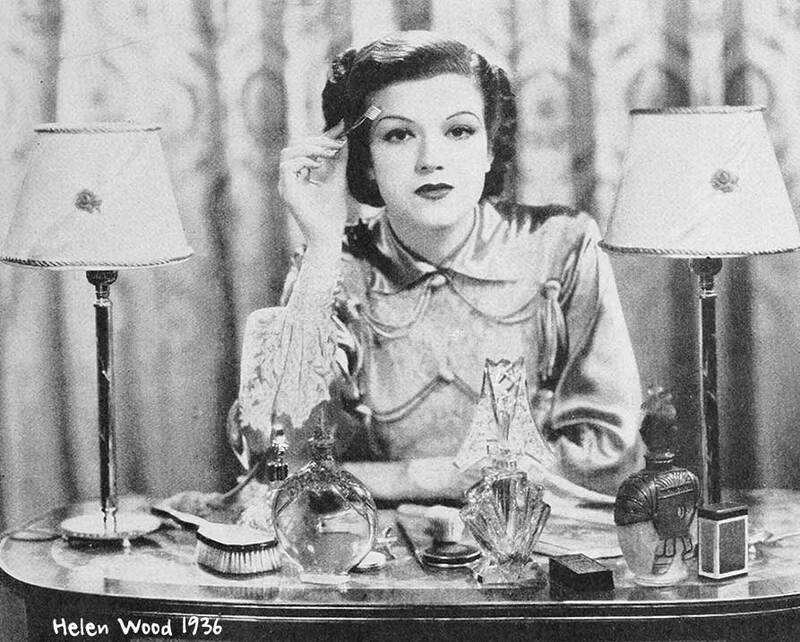 She is seen applying first the darker,then the light powder. 2.A camels hair brush dusts off the excess. 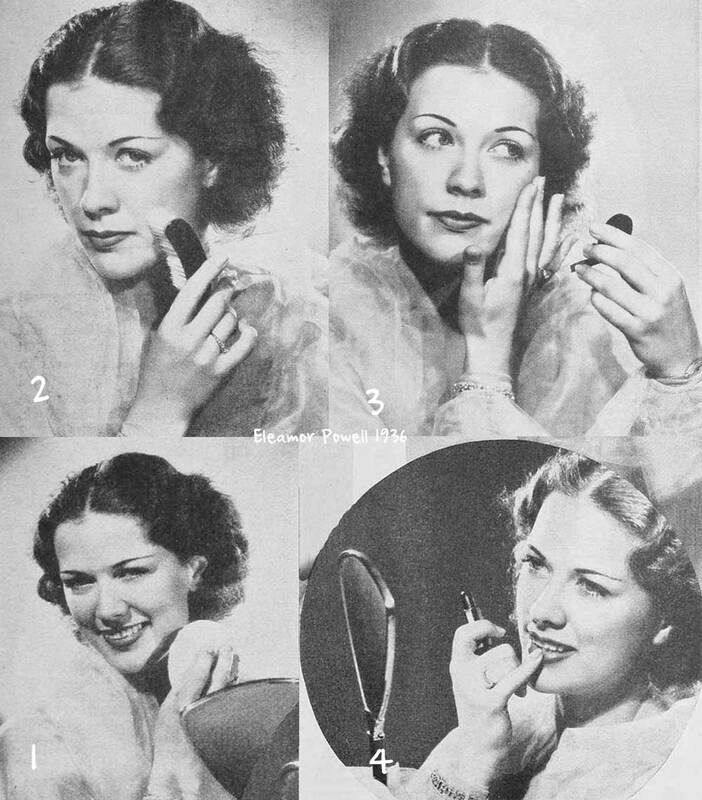 3.Eleanor’s rouge gives her cheeks a suffused glow designed to be in harmony with her chosen lip color. She pats on the rouge before powdering, then blends it by smoothing the edges with her fingertips. 4.Eleanor carefully smooths her lip rouge with her little finger, after applying the make-up along the natural outline of the lips. A red makeup pencil may be used to define the outline. If her rouge “smudges” she straightens her lip-line with an orangewood stick first dipped in peroxide ! Helen Wood is wielding a stout little brush which she finds indispensable to well groomed brows. They must be trained to orderliness and freed from powder. There is an art in using an eyebrow pencil as Helen shows. She follows the natural arc of the brow. The color should not be too dark, nor should it be too heavily applied either at the edges or ends of the brows. “Avoid harsh lines !” warns Helen.